This is something that I have to keep reminding myself lately. I don't know when I decided that I was going to be supermom, superwife, superhomemaker, supersundayschoolteacher, superfriend.. (ok, you get the picture), but it happened. I have been doing my best to be on my A game in all aspects of my life, and though it has been very rewarding.. it's also been very mentally exhausting. Sometimes at night, I find myself wishing I had made more time in the day to do things like read, call a friend or even blog. This has always been my outlet and I've really been missing it! So, while I am not ready to let go of this new-found energy and productivity, I am taking the advice of a very good friend and dialing it back a little bit. I realize now that staying in overdrive all of the time can cause a burnout really quick. What's your favorite downtime go-to? I just love to watch some TV at night to wind down my da.! We all feel like we have to be supermoms, super wives, etc., and you're right, it's exhausting! 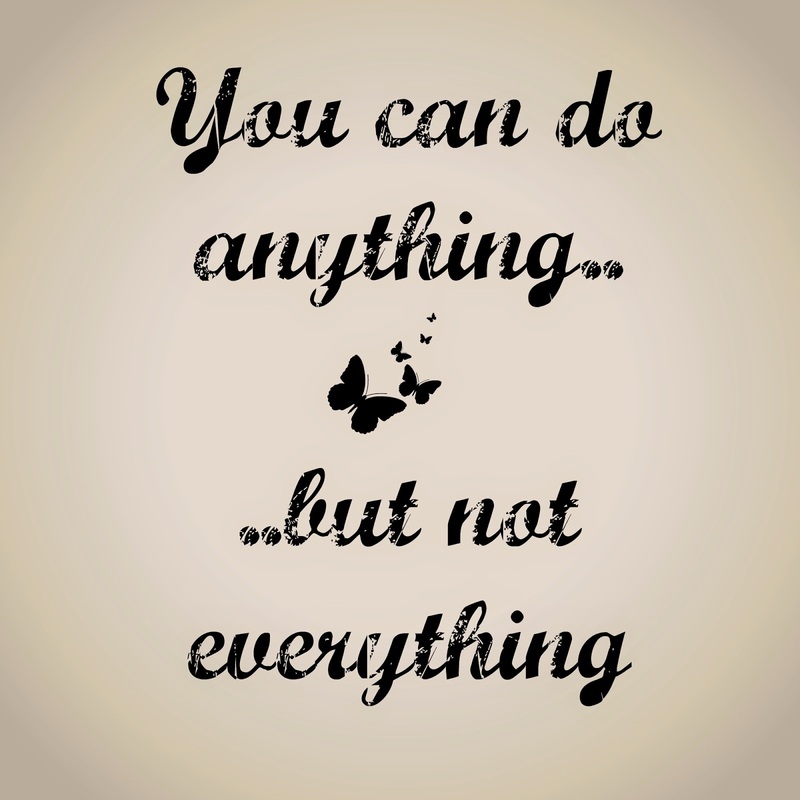 It's so true...We CAN do anything, but we certainly CANNOT do everything, though we try and feel we should. Thanks for this reminder! Great saying. I agree. I always like to mix it up with my downtime, depending on my mood. I sometimes like to hang out and watch TV or other times I'd rather head out for a run.